With 250,000 - 300,000 page views per month American-Rails.com is one of the most popular railroad resources on the Internet. The site also receives hundreds of visitors each day searching for train rides, many related to special events such as fall foliage trips, "Thomas The Train" rides, and the very popular "Polar Express" excursions during the Christmas season. For instance, in 2016 those searching for the "Polar Express" attracted 180,000 visitors (October - December), fall foliage trips nearly 20,000 visitors (August - November), and "Thomas The Train" nearly 44,000 visitors throughout the year. According to Alexa.com, the most trusted and accurate website traffic gauge, American-Rails.com currently lists in the top 0.0346% of all websites on the Internet. Many of the site's primary keywords such as "American railroads," "diesel locomotives," "railroad history," "steam locomotives," "fallen flags," "freight cars," and train rides like those mentioned above are all listed on Google's first page. It is my sincere hope you get the most out of advertising on American-Rails.com. The idea behind the article, for example, is to increase a potential customer's/visitor's immediate interest and that they will want to learn more about your product(s) or service(s). In addition, of course, would be included the company's website. Lastly, if-needed I can custom-build your ad for you. If so, please have your image and/or general information ready along with an idea of how you would like it to appear. For complete information about pricing please contact us. In addition, if this is something you might be interested in I am very willing and open to the idea of running an ad for you at no cost whatsoever for one month so you can get a better idea if it is something you may want to continue with moving forward. If you are a railroad, railroad-related company, or even offer model railroad products or services for sale and are perhaps interested in advertising on American-Rails.com please contact us, we would be very interested in talking with you. American-Rails.com reserves the right to decline any advertising deemed unsuitable for the site or not related to our readers' interests. However, this does not mean if you are a non-railroad related business you cannot advertise with us. Advertising and payment options are subject to availability and review. 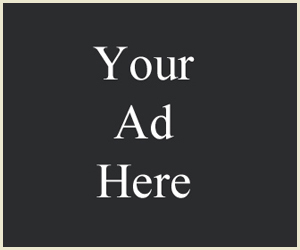 To learn more about advertising on the site, costs, and designing your banner please fill out the form the below. Or, if you feel more comfortable you can contact us through our Facebook page or via Twitter. We look forward to hearing from you!